Use these capital letter reading games to help teach capital letters. Really simple to use and they also come with lesson plans plus printable resources if you need them. Have fun using them and make sure you put your capital letters in the right place so that Zara’s dreams can come true and Zed can make a new something in his shed! Eight more versions of these games at Club Roy. 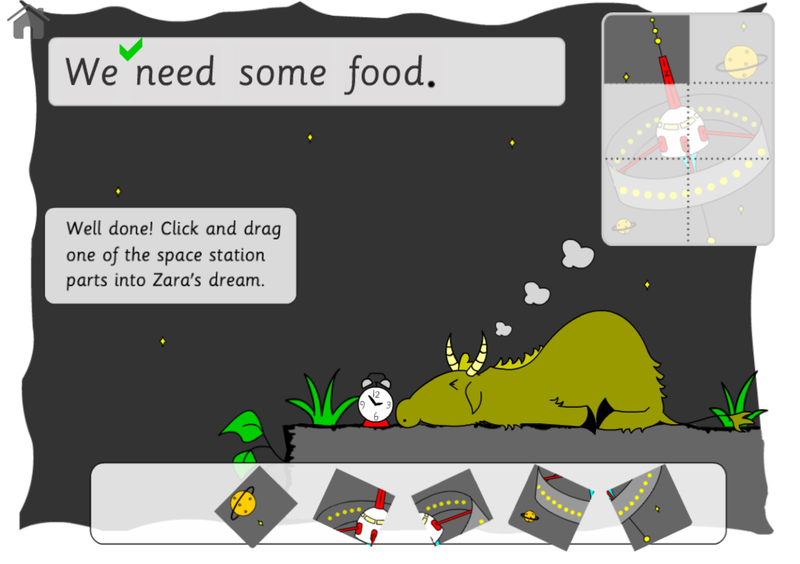 Zara is dreaming of space yet again, she would like to be a space wildebeest! Help her put her capital letters in the right place and make her dreams come true. There are more versions of this capital letter reading game on Club Roy. 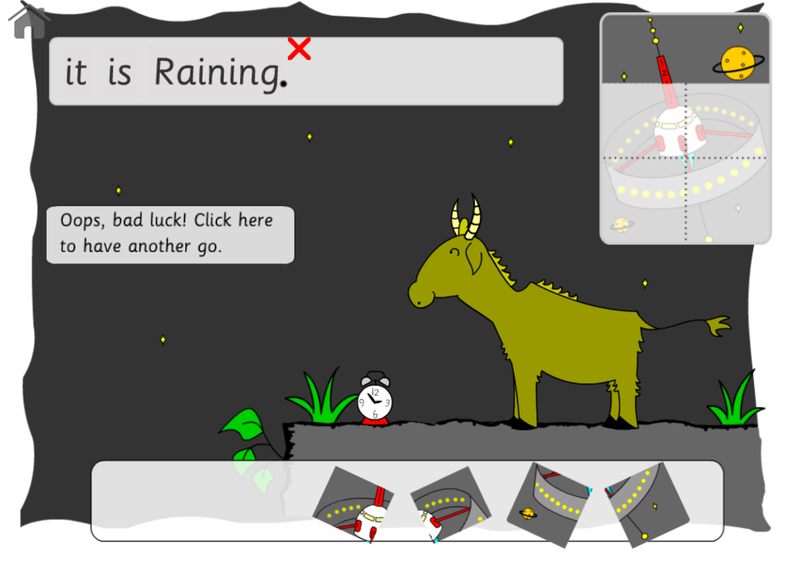 Click start to begin the game and wait for a sentence to appear. Drag the looking glass with a lower case and upper case 'A' on it to where the capital letter should be, drop the looking glass above the word and behold the word will change to start with a capital letter. 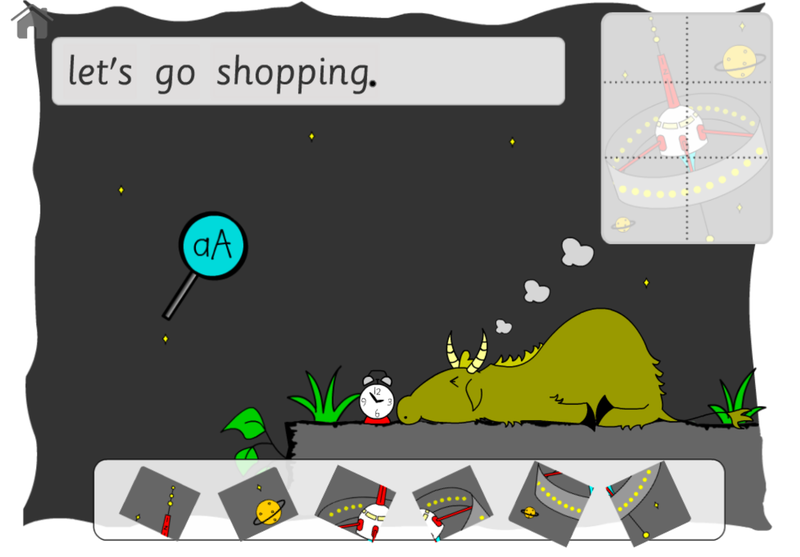 The reading game will automatically detect when a question has been completed. If the answer is correct then you will be allowed to drag a piece of the jigsaw into Zara's dream. 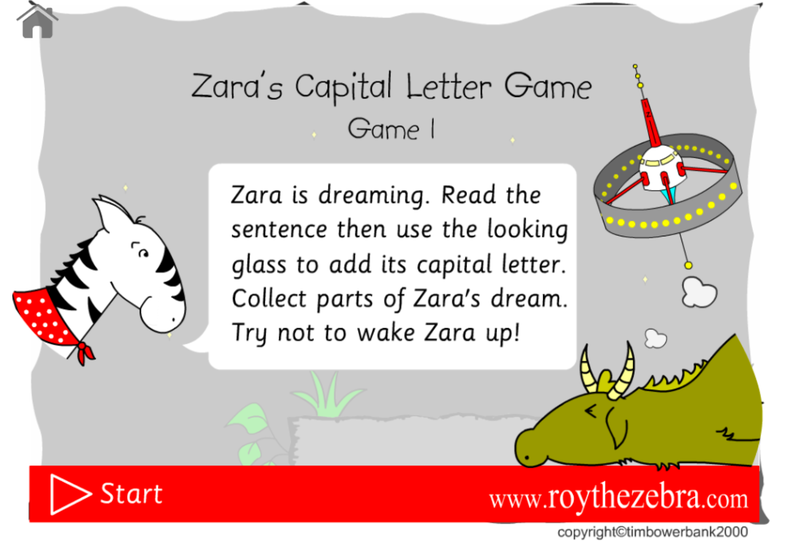 If the answer is wrong then Zara's alarm clock will ring and she will wake up, but don't worry you'll have another opportunity to get the capital letter in the right place after you have clicked the 'Have another go...' button that appears. Keep going until Zara's dream bubble is full of jigsaw pieces. What will happen next? You'll have to wait and see! If you want to exit the capital letters reading game then click the house icon. Compatible with desktop browsers, iPads and Android devices. Can be used with interactive whiteboards. 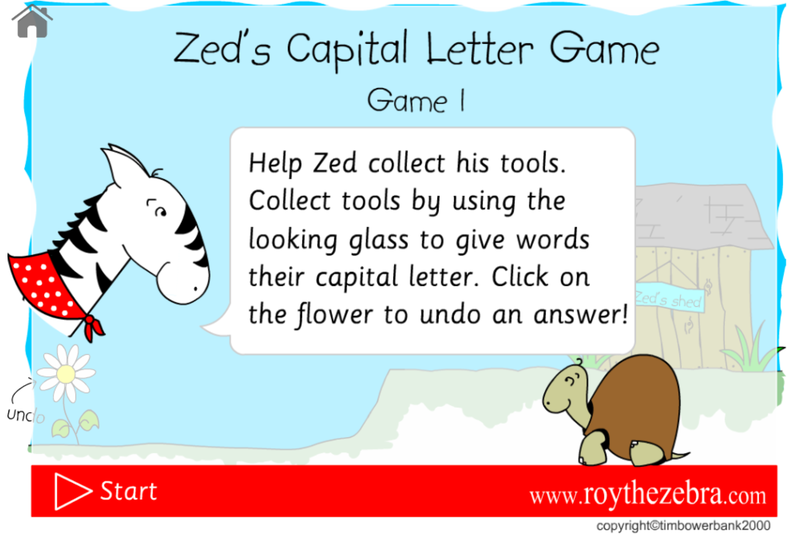 Zed is our tortoise inventor and is helping us learn about capital letters. He loves using his tools to make things in his shed. All of the sentences above Zed's shed have their capital letters missing. 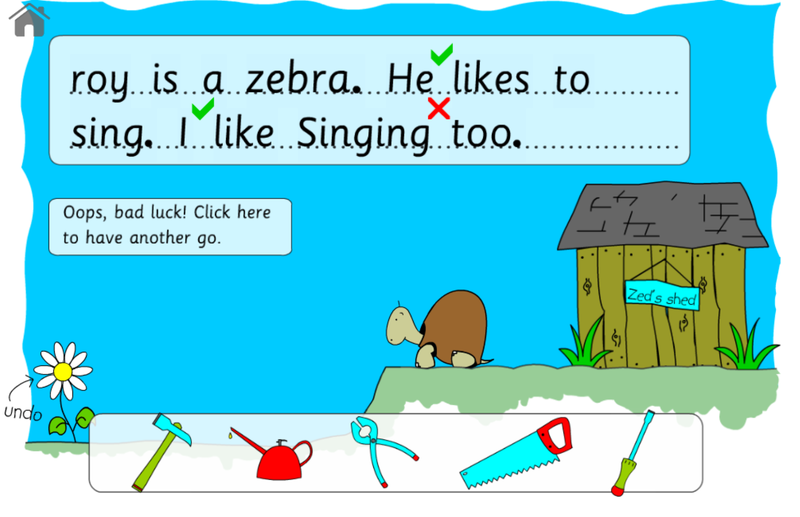 Can you correct the sentences and then give Zed one of his tools so he can make a new invention? If you like this reading game you can find more versions of it on Club Roy. Once the game has loaded click start on the introduction screen. Sentences will appear but oops, they have no capital letters in them! Drag and drop the looking glasses over the words to add the missing capital letters. If you need to undo an answer at any time then click the flower in the bottom left corner. The game will detect when all the words have been corrected and will automatically start marking the words with a tick or a cross. To exit the game click the home icon in the top left of the game which will bring you back to this page. Have fun playing the reading game. 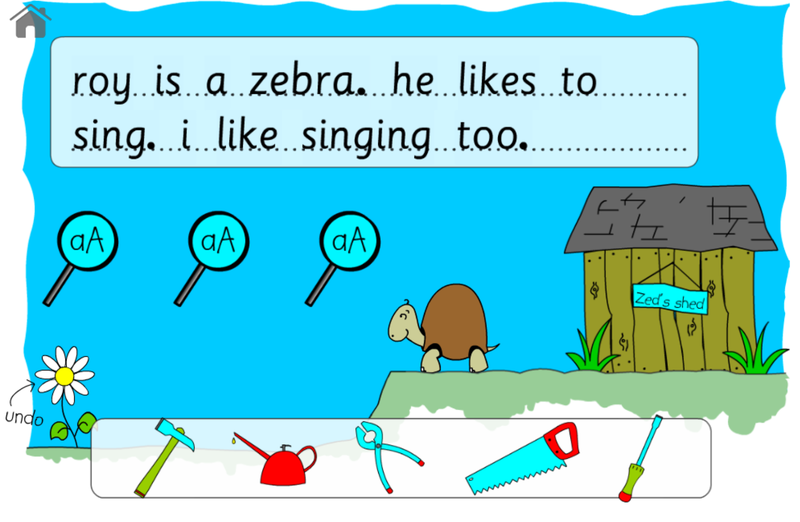 Drag and drop looking glasses, animation of Zed our inventor tortoise, animation of Zed's shed, sound effects, automatic marking of the sentences, undo capital letters. 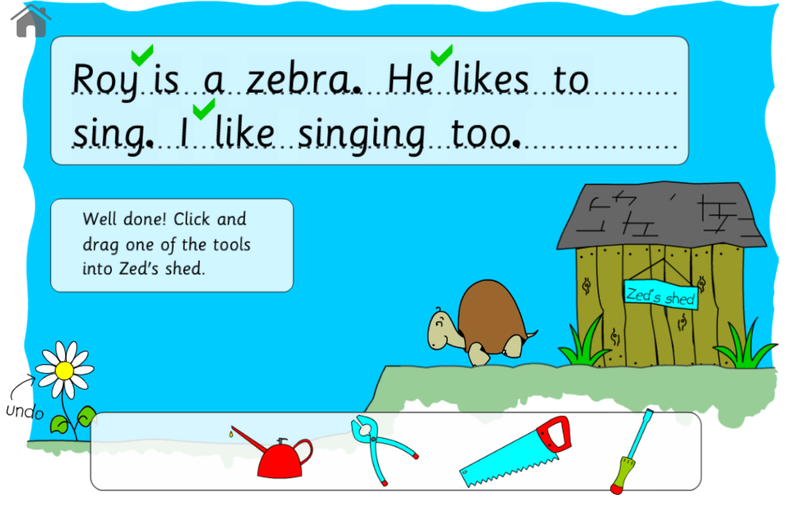 This reading game is compatible with iPads, Android tablets, desktops, laptops and interactive whiteboards. Chrome, Internet Explorer, Safari and Firefox browsers.